It's not too late to winterize and it's not too early to start on that remodel project. With the holidays behind us and the coldest months settling in, you might not be thinking too much about getting professional work done in your home. 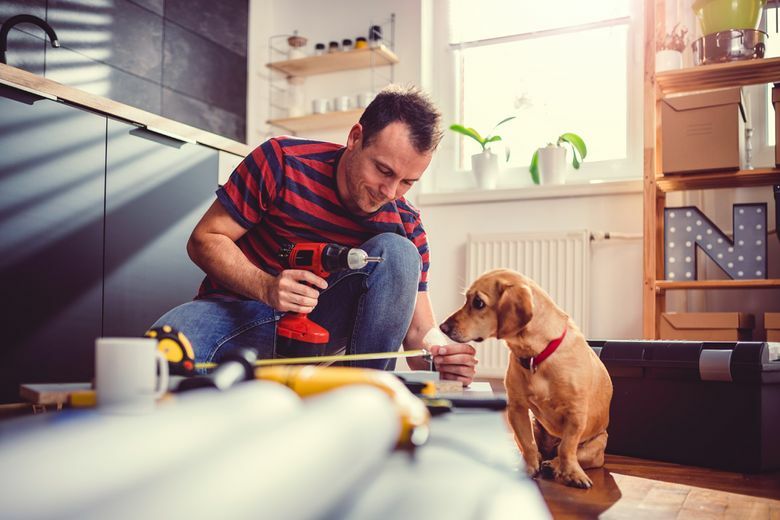 But whether it’s hiring a handyman to finish a to-do list or putting pen to paper for a big remodel, you can still complete some useful projects. And since winter is a slow period for many professionals, you might even be able to negotiate a better rate and get on the schedule quickly. You may be a little late to the party, but it’s not too late to prevent winter chills and save energy. Before committing to this project, you should have your home thoroughly evaluated to determine where energy is lost, how much insulation is needed, and how much you might expect to pay. You could find you need to add new insulation throughout your home and attic, or you may just need to install energy-efficient windows and doors. You should be able to recoup some of the costs because a well-insulated home typically comes with a lower utility bill. Another way to add more warmth to your home is to run your fans clockwise. This recycles warm air that has risen to the ceiling, pushing it back down to keep you warmer. Remodeling a basement during the winter months has several benefits. Since the basement is underground, all work will be completed indoors — meaning you won’t have to open your home to the elements. Plus, in addition to the lower rates and greater availability of home remodeling contractors, winter also offers less humid air, lowering the chance of mold forming on exposed surfaces. Winter provides the ideal setting for installing new hardwood flooring. The dry winter air helps to prevent gapping in the newly laid boards, while decreased humidity means there’s less of a chance for water damage. The winter air also ensures a quicker drying time for any adhesive involved. And, new wood flooring tends to insulate better than worn flooring. If you haven’t cleaned your gutters recently, now is an excellent time to do so. All the leaves have fallen by now, so there won’t be much new debris for a while. Clogged gutters can lead to foundation problems, ice dams roof leaks and rotten fascia boards. Even if you don’t do a full remodel, you can refresh these areas with some new hardware, cabinets or flooring. These are high-traffic areas of your home, and sometimes even small updates can give them a fresh new look in the dead of winter. New paint is one of the easiest and cheapest ways to give any room in your home a completely new look. Warm neutrals and bright pops of color can help you wash away the winter gloom. And if you’re up for it, new paint provides the perfect new backdrop for a redecorated room.